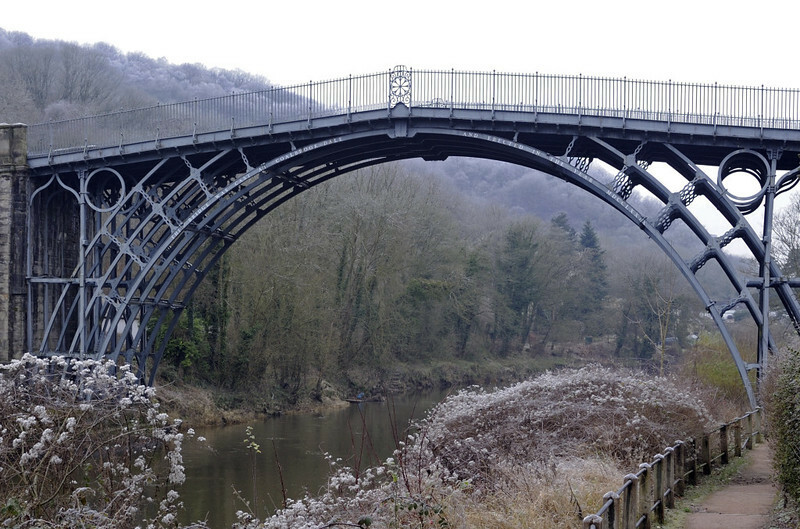 The iron bridge, Ironbridge, 13 December 2012 2. Looking west on the north bank of the Severn. The bridge was designed and built locally to carry vehicles and pedestrians who paid a toll. Previously they had to use ferries. When the bridge was built the area was heavily industrialised and the River Severn busy with shipping, so the bridge was very profitable and led to the development of the village of Ironbridge.